Research highlights GPs uncertainty regarding the best way to measure, record and interpret blood pressure, whether the average, the lowest or the out-of-clinic blood pressure should be used for interpretation, accuracy and representativeness of individual blood pressure readings. 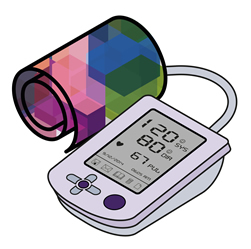 This interactive, case based online learning module has been designed to help health practitioners, particularly GPs improve accuracy in identifying elevated blood pressure in their patients as well as better interpret the results of both in-clinic and out-of-clinic assessments. This activity has been accredited for 2 (Category 2) points in the RACGP QI & CPD Program for the 2017 - 2019 triennium (activity number 91773). This activity has been approved for 1 Core point in the ACRRM PD Program for the 2017 - 2019 triennium (activity code 9029). It is recommended that 1 CPD hour be recorded for the purposes of self-directed pharmacists CPD. Call NPS MedicineWise for assistance on 02 8217 8700 or email info@nps.org.au.